It’s a beautiful life, so why add a whole lot of stress by worrying over a drain blockage or burst pipes! The good news is, you can put an end to these plumbing issues permanently. If they have blocked drains Richmond customers can call Drain Solutions to help them, as we are backed by over 40 years of experience in managing drainage and underground assets. It doesn’t matter if you own a home or a commercial building – we offer a hundred percent commitment to your satisfaction. Drain Solutions is a Melbourne-based company that fixes a whole array of plumbing issues in Richmond. Our reputation for service perfection is hinged on the considerable investments we’ve made in equipment and research and development. Our specialty is Pipe Relining, otherwise called CIPP (Cured in Place Pipelining), which is a procedure that permanently overhauls broken pipes or obstructed drains with very little or without excavation. This leads to less downtime and of course, fewer expenses compared to old-fashioned plumbing replacements. We also provide professional services, like drain repairs, toilet cleaning, and much more. Drain Solutions has perfected an army of effective techniques through years of experience. We have a stock of high-tech equipment, such as our environment-friendly high-pressure water jetter, and guarantee only the best results. With our in drain cameras, you can have a precise view of what’s actually happening inside your pipes and drains. And because our quotes are based on actual footage from our in drain camera inspections, you know they are highly accurate, and you’ll understand where your money is being spent. Lastly, our experience – 40 years in the industry is a revelation in itself. Whether you need a simple blocked drain job or a total Pipe Lining of your pipes, get it done right now. 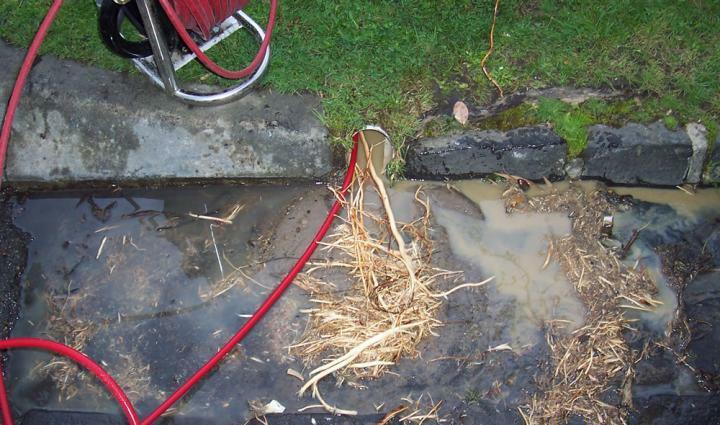 Call us at Drain Solutions on 1300 546 348 and let this be the end of your plumbing woes.